With unintentional hilarity, John Prescott once declared: "The green belt is a Labour achievement - and we mean to build on it." The fear among some rural campaigners is that the Conservatives really do. Attempting to reduce more than 1,000 pages of English planning guidelines to just 50, the government has attracted the ire of the National Trust (which has over three and a half million members), the CPRE, Greenpeace and the Royal Society for the Protection of Birds, all of which warn that the reforms threaten the future of the countryside. The banally named Draft National Planning Policy Framework includes a reference to the need for "decision-takers at every level" to "assume that the default answer to the development proposal is 'yes'." It is this sentence, with its hint of a development free-for-all, which has so troubled campaigners. It was not supposed to be this way. 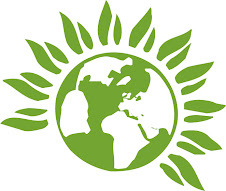 When the Tories adopted a green oak tree as their logo in 2006, it was regarded as symbolic of a renewed commitment to the environment. It was a nod to a strain of thought, dating back to Edmund Burke, which believes that mankind has a duty to preserve natural resources for future generations. The party's rural supporters, after 13 years in which they felt neglected by Labour, assumed that they would, at last, have a government that spoke for them. Yet from the attempted privatisation of the forests to high-speed rail and, now, the biggest changes to planning laws in 60 years, the Tories have taken the opposite side of the argument to its rural base. It has been left to Labour, loathed for banning fox hunting with dogs in 2004, to speak up for the shires. There are already uncomfortable echoes of the forests fiasco, when a campaign led by Rachel Johnson forced David Cameron to perform the biggest U-turn of his premiership and abandon the planned sell-off of 637,000 acres of publicly owned woodland. Mindful of this, the government, which had dismissed the protesters as "semi-hysterical" (Vince Cable), has agreed to listen to positive suggestions. Is this a prelude to another U-turn? Unlikely. The Tories, fearful that Margaret Thatcher's dream of a "property-owning democracy" is in reverse, are determined to build more houses. Cameron and George Osborne believe that home ownership is vital to promote what Shirley Letwin once called the "vigorous virtues" of Thatcherism: "Being upright, self-sufficient, energetic, adventurous, independent-minded". The reforms are also seen as central to the government's growth strategy. Whether you favour Keynesian stimulus or Hayekian austerity, the grim truth is that the UK faces reduced levels of economic growth. The reality that the economy has expanded by just 0.2 per cent over the past nine months means that the reforms have become more, not less urgent. In the words of the planning minister, Greg Clark, the government believes that it "can't be ambivalent about growth". Because of this single-mindedness, the Conservatives could yet become the enemies of conservation.